With the growing amount of content being published online, it's hard to keep up with all the articles that interest you. Add to this the growing complexities of website designs, in some cases reading can also be distracting. There's a few services out there that aim to address this issue, with the two big players being Instapaper, and Pocket (formerly Read It Later). 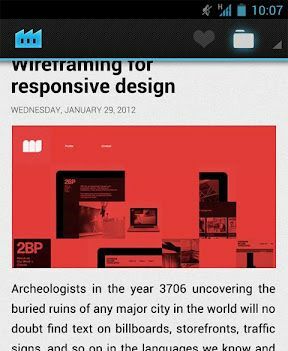 Pocket just launched a completely revamped app, and while there's no official Instapaper Android app, there is Papermill. But which is best? Join me as I discover the answer. 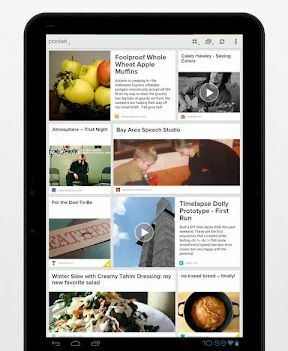 First up we have Papermill, an Instapaper client. It supports (almost) all you'd expect from an Instapaper app. You can read distraction free, archive read items and or like them. Unfortunately, that almost is there for a pretty big reason for some â€” it doesn't support folders. However the developer is working on this for a future update, so hopefully it's not too far off. It's worth mentioning that on top of the cost of the app, you also have to pay for a subscription to Instapaper for API access. This will only set you back $1/month though (although you have to pay for a minimum of 3 months), so it's not exactly breaking the bank. The first thing you'll notice when you open Papermill is quite a striking UI. It's an ICS-like UI, with the designers own spin on it to give it a unique feel. I find the icons tab bar to be a bit too dark for the background. The action bar icons in the reading view also suffer from being a little too dark. Overall though, it's clean and easy to use. Onto the big part, reading. For the most part, Papermill delivers. Article text is easy to read, with a dark mode, which presents white text on a black background, for those so inclined. Also hidden under the action bar overflow button (even if you have a menu button, which I kind of like) is the ability to share, adjust the text size, view the original webpage, or delete the item from your Instapaper account. Two separate icons allow you to archive and like the text from there. Where I feel it fails slightly, is when it comes to viewing pages that Instapaper's clean reading view doesn't support. Take for example a YouTube video. I would expect such a link to just bring me to YouTube, but instead it brings up a "Sorry, this page is not available in Instapaper." message, that isn't mobile optimised. Were it mobile optimised, I'd give it a pass, but unfortunately it's not (Edit: The developer has told me on Twitter that they plan on addressing this issue). For offline reading, Papermill can do a daily check of your Instapaper account and download new articles in the background. It would be nice if this were configurable to a shorter timespan, but if you have an internet connection at all times anyway, it's no big deal. 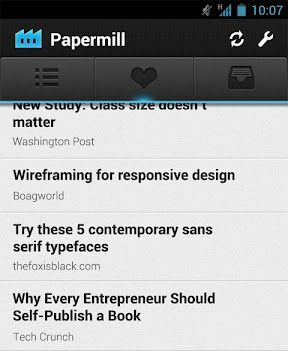 Papermill is a solid Instapaper client, and if you're currently an Instapaper user, it's a good investment. You'll also get that warm fuzzy feeling of supporting a developer and designer who put their time into this app, and Instapaper for creating and maintaining a top-notch service. Pocket was a surprising update and re-branding of the previously named Read It Later service. They completely revamped both their iOS and Android apps, which in my opinion was much-needed on Android. The new design brings it up to scratch with some Holo Light ICS styling. They also introduced a new price â€” free. As the Official Pocket app, as you'd expect, it supports everything you can do in the web interface, including tags, which 1-ups Papermill. It also includes a tablet optimised UI, which unfortunately I couldn't test as I don't own an Android tablet. The new lighter UI is leaps and bounds better than the old one. It's cleaner and less in your face, meaning you can focus more on the content. I can't really fault the UI, they've done a great job adhering to the ICS design guidelines. The reading experience gains from this light and clean UI. It allows you to focus more on the article, and even allows you to hide the toolbar while reading simply by tapping. I would like if the action bar at the top also appeared on top. Most of the controls you want are on the bottom toolbar anyway, but still, it would be nice to me. Pocket has a few more viewing options alongside resizing of text and a dark mode. It also allows for changing the brightness of your screen from the app, gives the choice of a serif and sans-serif font, and lets you choose whether you want left aligned, or justified text. Pocket also allows for offline storage of articles, but with more configurable options, including push, which is a very nice addition. 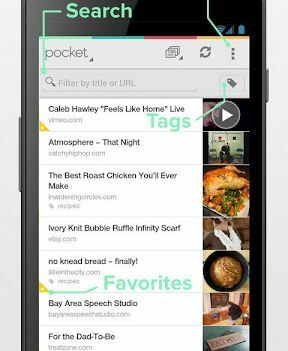 Pocket also not only handles incompatible webpages properly by loading the webpage itself for the likes of YouTube videos, but it even allows you to view based on whether the link is an article, video or image. Pocket gives an experience you'd expect from an official app. I'd be slightly concerned about how they plan on making money, since there's no ads, and they have bandwidth to pay for and employees to pay, but given it has an open API, you could fairly easily migrate to another service if things went sour. Both Papermill and Pocket are great apps, but if you're currently trying to decide on what service to use, it's hard to say no to Pocket. It has more advanced features while also having a cleaner UI. If you're already an Instapaper user though and have no plans to move, I have no qualms about recommending Papermill. The developer has done a great job of bringing Instapaper to Android, and once folder support is implemented, it will be fully featured too.